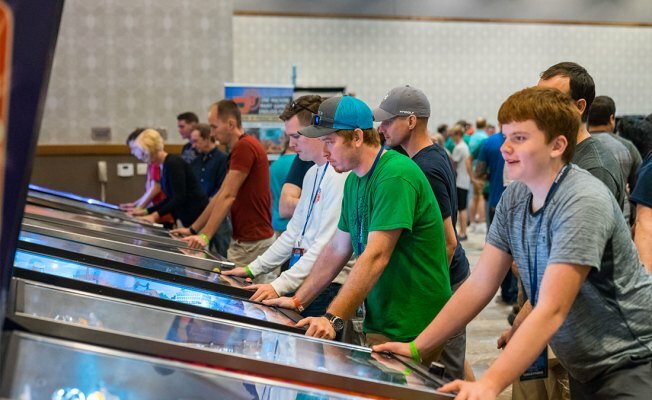 The Texas Pinball Festival started Friday and will continue all weekend in Frisco. The three-day festival will have more than 400 vintage and new pinball machines. The event kicked off Friday at 5 p.m. and will run until 1 a.m. On Saturday the event begins at 10 a.m. and goes until midnight and Sunday from 9 a.m. to 2:30 p.m.
Butch Patrick and Pat Priest, best known for their roles in the TV show “The Munsters” will make appearances. John Rhys-Davies, actor in “The Lord of the Rings” trilogy and “Raiders of the Lost Ark”, will also make a guest appearance. Tickets for Friday are $30 for adults and $15 for children ages 5-12. Saturday tickets are $40 for adults and $25 for children ages 5-12. Sunday tickets are $25 for adults and $10 for children ages 5-12. A weekend pass is $70 for adults and $45 for children. Children under 5 years-old get in for free. The event is at the Embassy Suites Hotel and Frisco Conference Center, 7600 John Q. Hammons Dr.